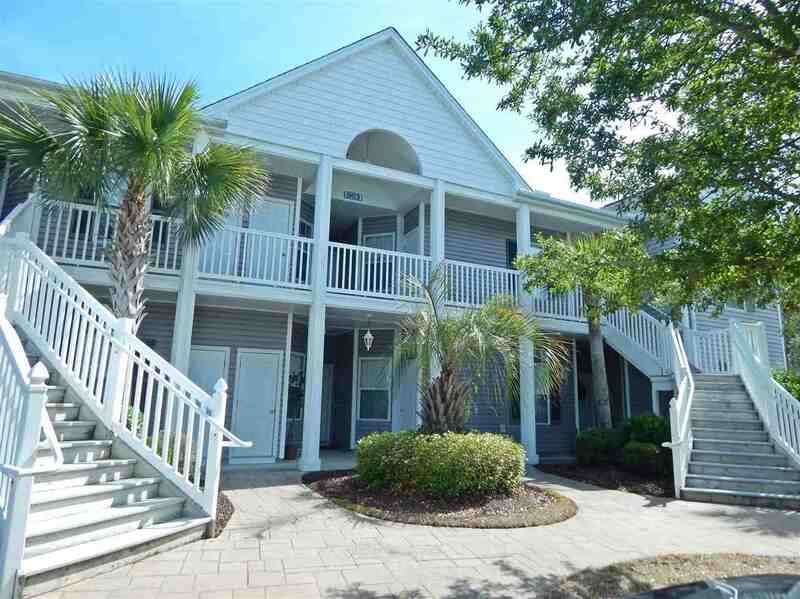 Furnished 2nd floor condo with a beautiful view of the pond and golf course, minutes from Myrtle Beach and everything the area has to offer. Some features include: an open floor plan, stippled ceilings, vaulted ceiling in the living room and master bedroom, screened porch with a view of the pond and golf course, split bedroom plan and just a short walk to the community pool. CLICK THE VIRTUAL TOUR LINK FOR: FLOOR PLANS, HD VIDEO, PICTURE GALLERY, INTERACTIVE MAP, AREA ATTRACTIONS AND MORE. All listing information is deemed reliable but is not guaranteed. Measurements and square footage are approximate. Buyer is responsible to verify.